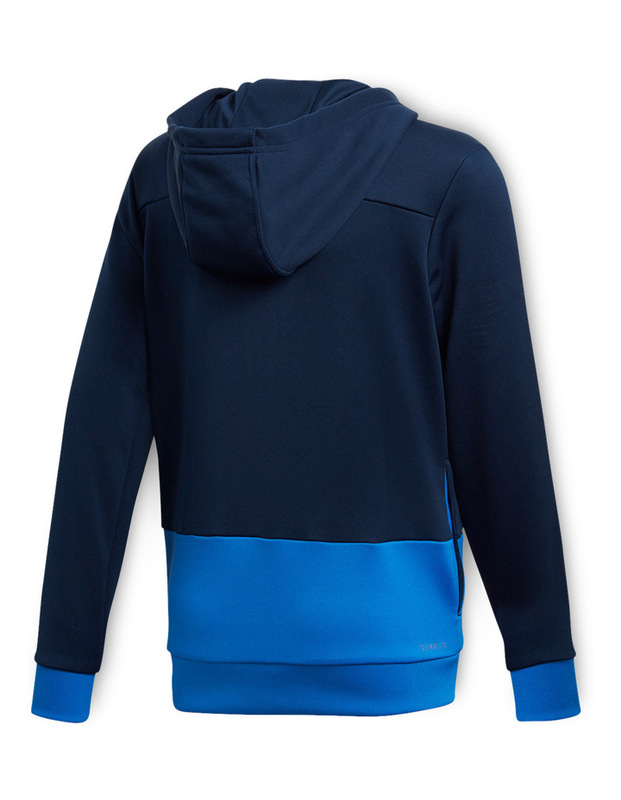 This junior boys' hoodie keeps you dry as you train on cooler days. Made of sweat-sweeping fabric, this sweatshirt has a regular fit for roomy comfort and side pockets for storing your essentials. 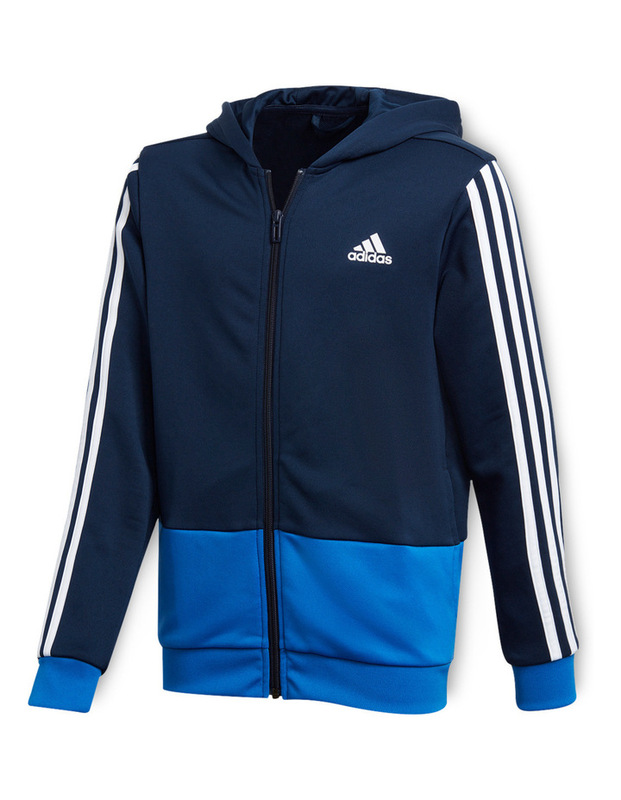 A colourblocked hem and 3-Stripes on the sleeves make a sporty statement.